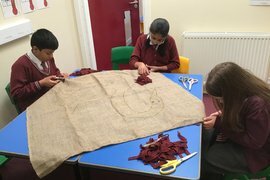 Children from around the school are helping each week to create the Rag Rug using tools and recycled materials. 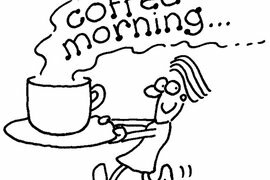 Send awareness coffee morning. 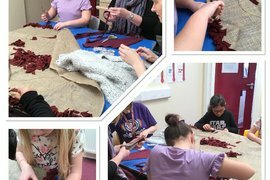 Monday 20th November 9am in the Hall. 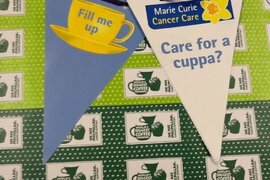 EYFS Coffee afternoon for Macmillan and Marie Curie. Thursday 28th September 2.15pm in the canteen. All welcome. 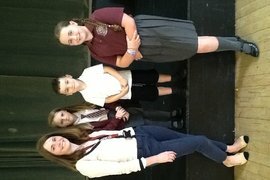 Congratulations to our recent 'Wake Up & Shake Up' winners! St Hugh's got the X Factor! 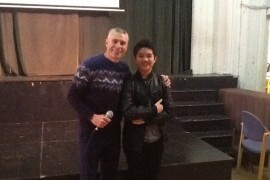 A big thank you to last year's St Hugh's Got Talent winner Renzo for opening this year's show. 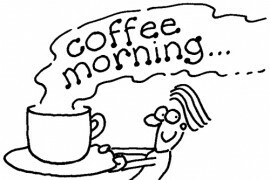 SEND Awareness Coffee Morning this Wednesday 30th November 9am in the Hall-all welcome! 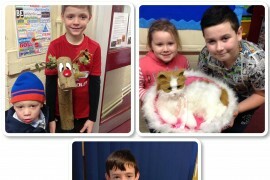 Congratulations to Joseph, Lewis and Charlie who were all winners in our recent Ireland fundraising initiatives. Hope you enjoy your prizes!